The "Kinglsand Pillow Top" is a new addition to our lineup and it is considered one of the best values in the sleep product industry! 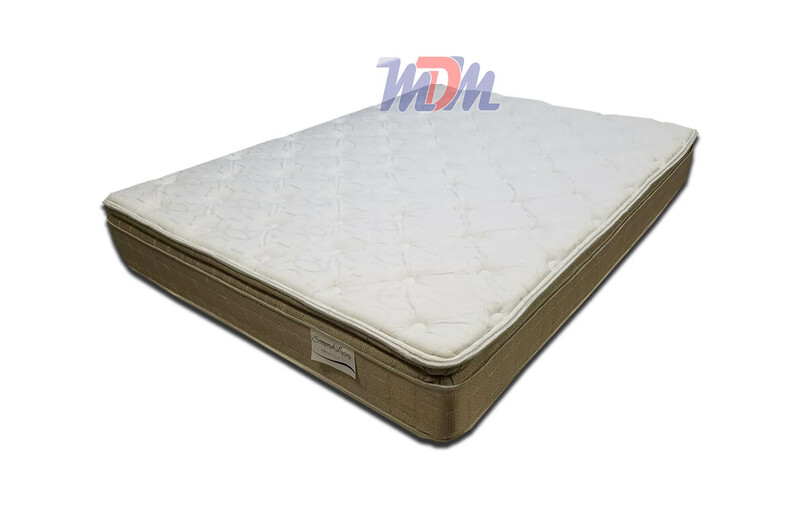 It's a reasonably thick pillow top bed with a durable and comfortable coil system and a very supportive build and feel. Made in America, both engineering accumen and careful care is taken in building the Kingsland series. Foam Encasement will keep you from feeling your partner get in or out of the bed and the TruCool cover will ensure that you do not sleep hot. A strong coil system topped with lofty comfort foam layers balance out to give you a medium-soft feel that will last and last. In its price range, I don't believe that there is a better medium-soft pillow top on the market. I am very impressed with Corsicana's "Kingsland" mattresses, for their overall value and their comfort levels. This mattress has a bit more heft to it than many similarly-priced models and I'm inclined to believe that it will be a long-lasting part of your restful sleep. 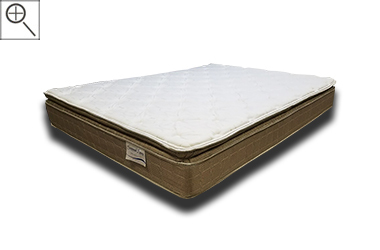 All of Corsicana Bedding's mattress models are composed of CertiPUR-US foams. They are also made in the United States. In the day and age of trusting 1/3 of your life's comfort with so-called 'mattresses' made by 'who-knows' from outlets like Amazon; Corsicana is a name and product line that you can trust! 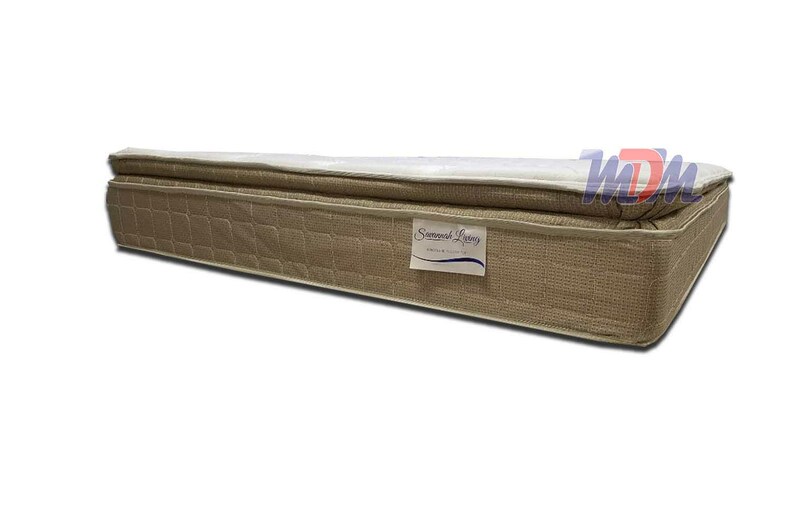 The Elite VertiCoil system that is inside of this mattress model provides contouring comfort and also longevity. 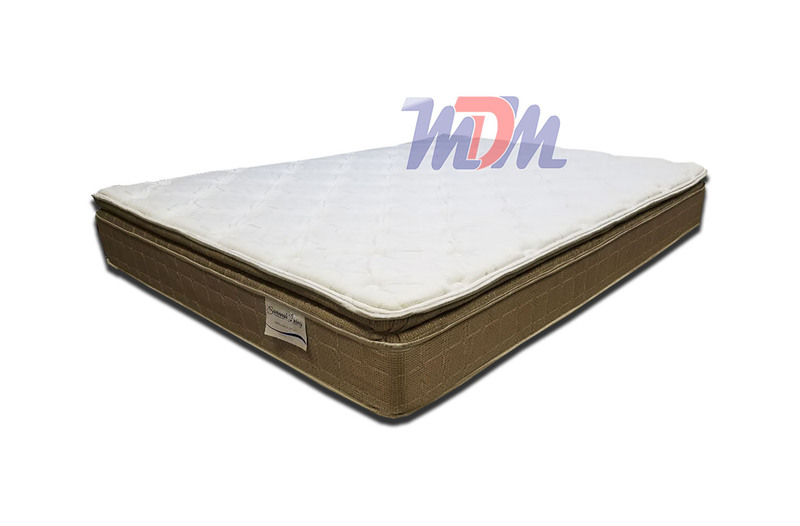 The foam buildup - as well as the base layer, below the springs -is a reasonably dense group of layers that provide a supportive feel on the sleep surface. Foam encasement reduces motion transfer and also cuts down on bounce and sway. The TruCool cover breathes a bit better than standard mattress covers so, hot sleeping in this bed will not be an issue. All-in-all, the Kingsland Pillowtop is a great product, at a low price. For 2018, Corsicana has presented a nearly unbeatable group of mattresses. I highly recommend this model, if it fits your desired feel level.